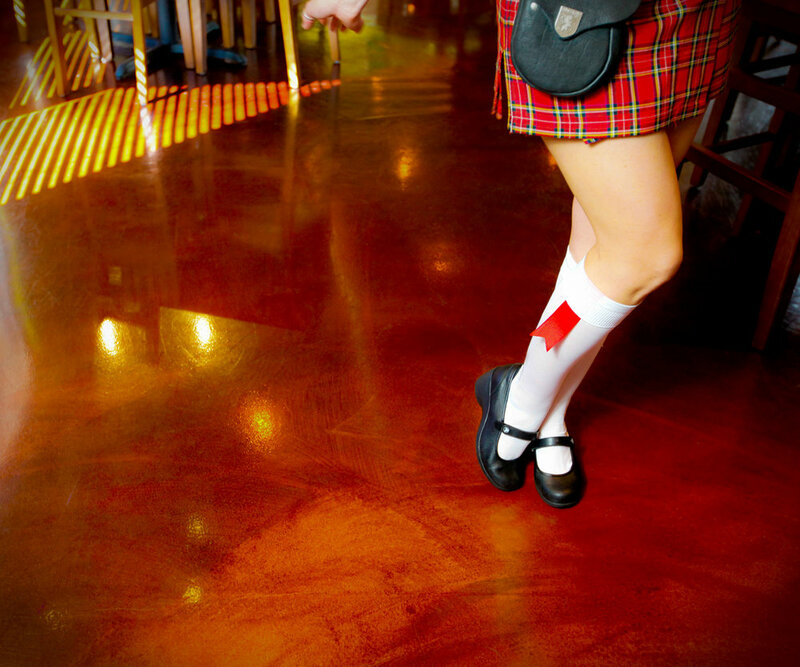 The Tilted Kilt Pub and Eatery is an interior fit-out within existing retail space at the White Marsh Town Center north of Baltimore, Maryland. 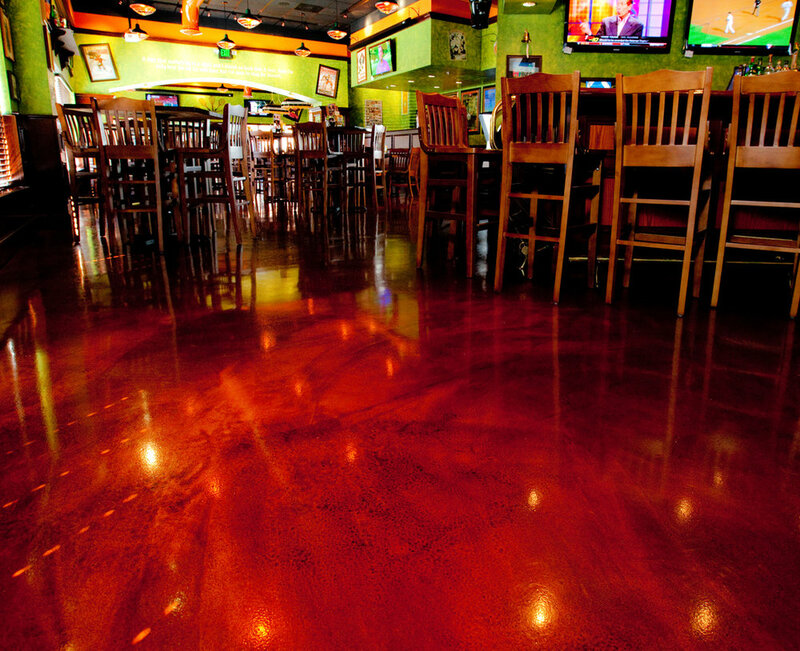 The project consisted of placing a self-leveling overlay over an extremely damaged floor, then staining and sealing within a constricted timeline to allow the restaurant to be ready for opening day. 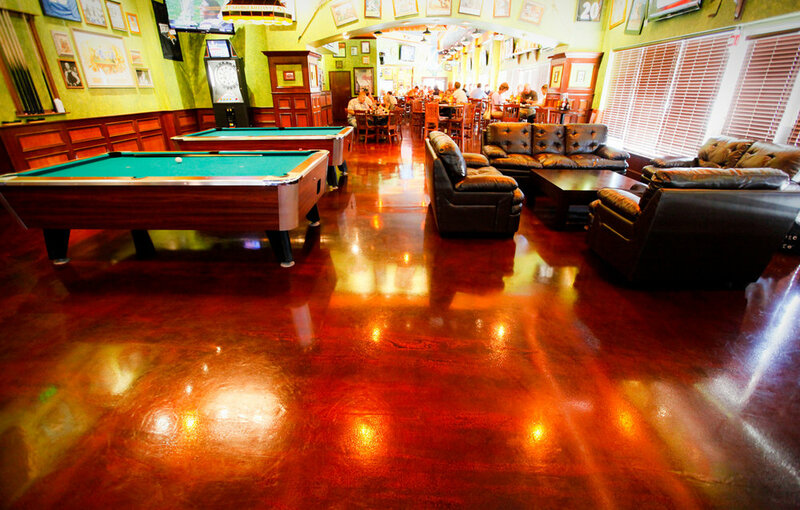 We came into the project wary of the floors condition and timeline. However, we succeeded with extensive planning, teamwork, communication and determination to produce an original, vibrant floor loaded with detail and character.